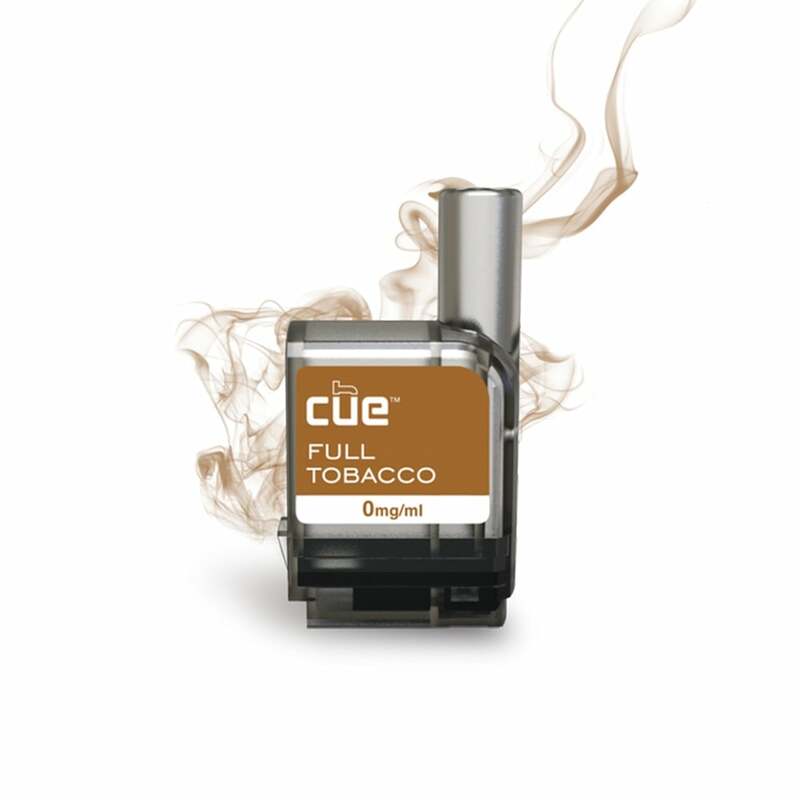 Full Tobacco is a bold and sophisticated tobacco flavor vape brought to you by Cue Vapor System. It has a good flavor but smooth flavor taste better. one pod can last me at least 2 to 3 days. it save me a lot of money. In additional , it has option to choose between 0 , 3 , 6 mg of nicotine. I guess I have progressed to full tobacco. Smooth began to taste less, and less like tobacco. I am thinking about taking the next step to another device so I can have more of selection on tobacco juices. Not to much into the flavored juices. But with this device the choices are limited. The whole idea is to quit right, not expand?. So much for that right now. GREAT PLACE TO BUY REFILLS OR STARTING KITS. I HAVE ALREADY SPENT OVER $800 AND NEVER HAD A PROBLEM !!! I like`d the full tobacco, especially when I was drinking whiskey and bourbon as it gives me a full cigarette hit and flavor. Although my initial Cue starter kit came with smooth tobacco, which was very good, I preferred the Full Tobacco flavor. I also love the Apple Tobacco, which has just a hint of apple flavor, rather than overwhelming the tobacco taste. Bravo!! This is really a great tasting full flavor. I highly recommend this flavor, it’s one of my favorites. This is an easy product to use. I do not have to worry about filling my unit. I just snap in the cartridge and I'm ready to go! It gives off a great vapor flow. I am very pleased. hard to find the right one. A little harsh for me.